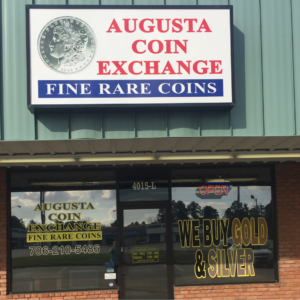 Augusta Coin Exchange, in Martinez, GA near Augusta, GA, buys U.S. Coins, Currency, Gold, Silver Bullion, Scrap Gold, Jewelry & Sterling. Being in the coin industry since 1992, we are interested in about a variety of collectibles, including Confederate Bills, National Banknotes, Foreign Gold Coins & Bars inc, K-Rands, Maple Leafs, Pandas, Francs, Sovereigns, Russian Rubles, as well as unusual items such as mechanical toys, pocket and wrist watches. Stop in for a FREE verbal appraisal. Augusta Coin Exchange, in Martinez, GA near Augusta, GA, sells U.S. Coins & Currency, Bills, Paper Money, Rare Coins, and Gold and Silver jewelry. All coins are priced according to condition and grade. We have a nice selection of Gold & Sterling Silver Jewelry including Earrings, Chains, & Bracelets most priced at Actual Melt Value. Save 100s over Retail prices! Please stop in to look around and have any questions answered. No Obligation Ever! Augusta Coin Exchange can help you learn the current value of your U.S. gold coins, coin collection, paper bills and other currency with their appraisal, grading, and authentication services. Whether you’re interested in selling your coins/collection or simply wish to know their worth, you can rely on us. 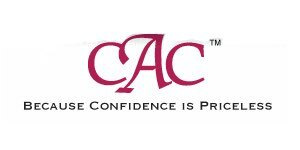 With 26+ years of experience, we are your source for Paper Money & Bill Authentication, Coin Grading & Certification, and appraisal services in Martinez, GA near Augusta, GA Augusta, GA and surrounding areas. WHY CHOOSE AUGUSTA COIN EXCHANGE? The American Numismatic Association is a nonprofit organization dedicated to educating and encouraging people to study and collect coins and related items. 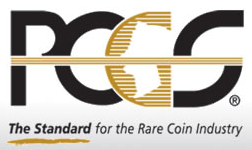 Numismatic Guaranty Corporation (NGC) is the world’s largest and most trusted third-party grading service for coins, tokens and medals. The Industry Council for Tangible Assets is the watchdog for the rare coins, currency, and precious-metals bullion communities. We like looking at anything so bring in what you have! We are available by Appointment after Hours and on Sundays….Just call! We proudly serve Martinez, Ga near Augusta and surrounding areas in Georgia, including Augusta, Evans, Wrens, Thompson, Harlem, Grovetown, as well as Aiken, North Augusta, Greenwood, and Barnwell, South Carolina. Great customer service, very fair when conducting transactions. They actually have a lot to offer, great place for kids getting into collecting. Gives a fair price for your coins.